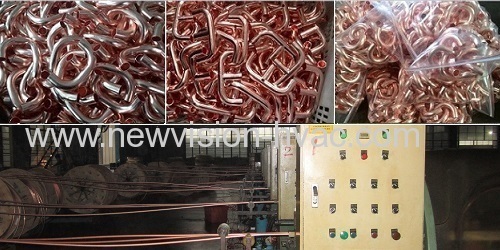 We produce all kinds of wall thickness - air conditoner copper fittings like copper return bend, copper u bends, copper tripod as well aluminium u-bends, a professional a/c fittings supplier for your coils manufacturing needs, and it is also available to be designed and produced according to your requests. Additionally, Aluminium U-Bend used auto refrigeration system is also just our line, which is different from copper U-Bend. Aluminium u bend is lighter than copper u bend, and more economic in cost. 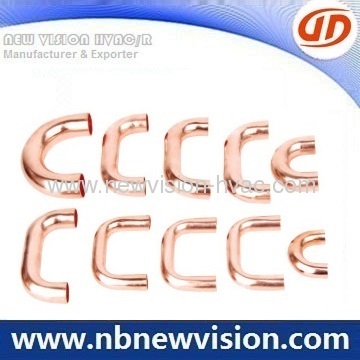 Additionally, copper return bends are usually applicable for plumbling, and reuglar specifications for copper tube diameter 10mm, 12mm, 15mm and so on. Sometimes two end ports will be required to be extended. 1. Regular sizes for air conditoner appliance like 7mm, 7.94mm, 9.53mm, 12.7mm as well 15.88mm. 2. Regular sizes for plumbling like 10mm, 12mm, 15mm, 18mm etc available. 3. Available for brazing rings diameter 1.6 or 1.8mm - Ag 2% or others. 4. Available for any OEM request even if its pitch in narrow blending. 5. Made in raw materials in superior - Alloy No. C12200 TP2. 6. Automated processing equipments - blending machine. 7. Well practical operating workers for more tends of years. 8. A special teams of QC and QD for the inspection. 9. 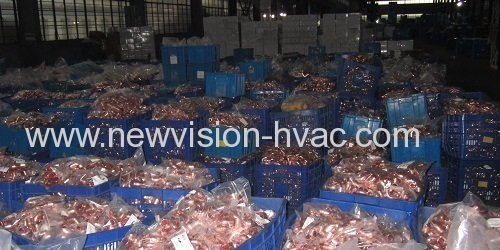 Each inspected 100% before making shipment. 10. Prompt delivery provided for our capacity - 1,500,000 pcs per month. 11. Standard package - packed in poly bags, then in carton box and pallets. - The above drawing and data in sheet for the reference only. In case of more details about copper u bends & copper return bend, please feel free to contact us. Welcome any enquriy from domestic & abroad, and the reply will be made in 24 hours.